I’ve been trying to create all sorts of things out of the fabric I have been designing, but I always seem to want a new purse. 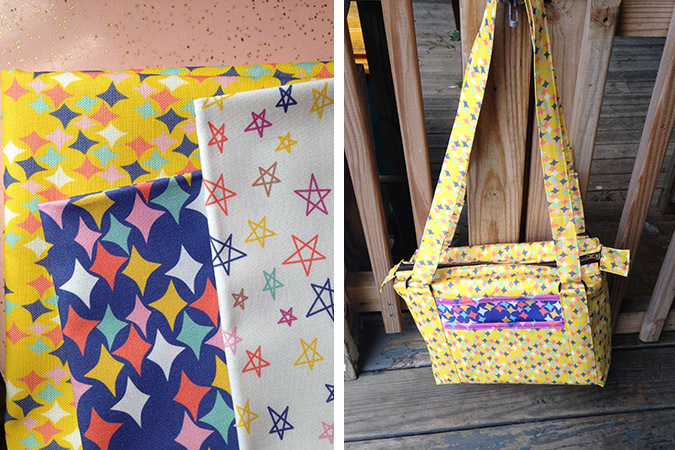 When I was trying to decide if I wanted to find a pattern to use or not, nothing really stood out to me. 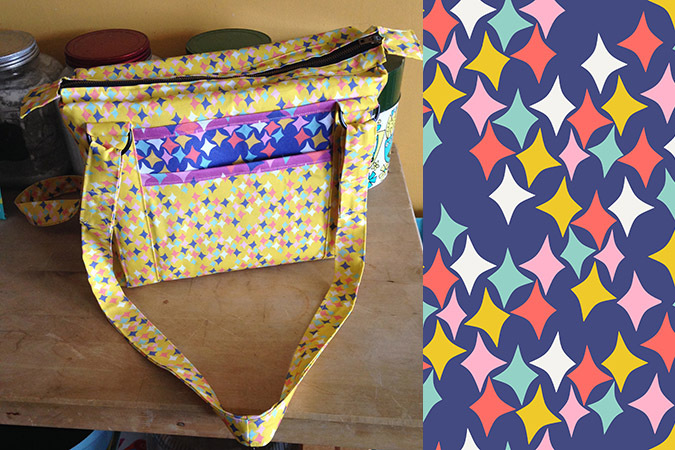 So I decided to just wing it and make up a purse pattern of my own. My ideal purse always has at least one front pocket for tossing in my keys and cell phone. Otherwise I am forever rooting around in the big pocket trying to find them. You can see all the coordinating fabrics in this collection here. Tagged craft, diamonds, fabric, fabric design, flowers, my work, purse, spoonflower. Bookmark the permalink.